The Key Stage 3 Curriculum is delivered over two years in Years 7 and 8. The aim of Religious Studies at Crickhowell High School is to encourage students to learn from different religions, beliefs, values and traditions, whilst exploring their own beliefs and values. It helps students to develop their own identity and belonging. Students study a variety of exciting and engaging topics as detailed in the table below. There is a broad mixture of religions to study combined with many philosophical and ethical themes. Each half-term is centred on a theme to allow students to make connections and apply different beliefs and values held by people to real-life situations. We are currently pioneering a thematic approach that fits in with the Donaldson Curriculum. RS is a unique subject as it is not all about learning boring facts and figures. It challenges the way we think about life, the universe and everything! Religious Studies is the perfect course to deepen your knowledge and understanding of philosophy, ethics and eastern/western culture and religion. The table below provides a snapshot of what the course involves. Throughout the course, students study ethical and philosophical themes while studying the beliefs of Christianity, Hinduism, Humanism and Atheism. In this unit, students study a range of themes, such as ‘Issues of Life and Death’, which includes topics such as the origin and value of human life, beliefs about death and the afterlife and debatable issues such as abortion, euthanasia, just war theory and nuclear war and deterrence. Other themes include ‘Good and Evil’, which includes stimulating and thought-provoking topics, such as attitudes towards crime and punishment, issues of forgiveness and the problem of evil and suffering in the world. In this unit, students examine key moral principles from a range of viewpoints and beliefs. They debate and evaluate a range of ethical issues such as issues of relationships and gender/race equality. They also examine and debate issues surrounding human rights, such as problems with justice, wealth and poverty and prejudice and discrimination. Group Projects and much more! Relevance: Where Will The Course Lead Me? I Don’t Want to be a Vicar! A qualification in Religious Studies qualify students for entry into a wide range of jobs and professions. 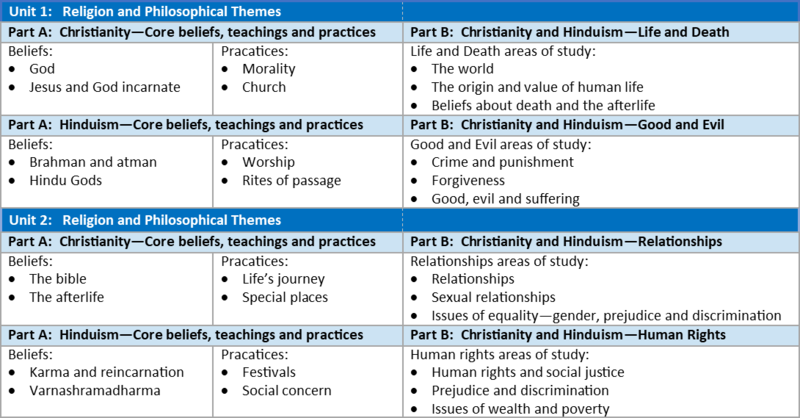 These professions do not just include Religious Studies teaching, although there is a shortage of Religious Studies teachers. They include other jobs such as Social and Personnel Work, Youth and Community Work, Nursing and related services. Other careers such as Marketing, Production, Armed Forces and Management also accept RS Full Course as a worthwhile qualification. If you would like any information about AS / A2 Religious Studies, please visit our Sixth Form pages at https://www.crickhowell-hs.powys.sch.uk/sixthform/choosing-your-options/religious-studies/ or click on the link below.